This image is on the first page of the Falcon 9 Launch Vehicle PAYLOAD USER’S GUIDE which features Falcon blasting off and four masts with cables attached to their tops. Lightning towers. Designed to get attract lightning strikes, instead of the booster. Not the answer you're looking for? Browse other questions tagged falcon-9 launchpad or ask your own question. What are the differences between the Falcon 9 (1.0) and the Falcon 9 (1.1 or F9R)? 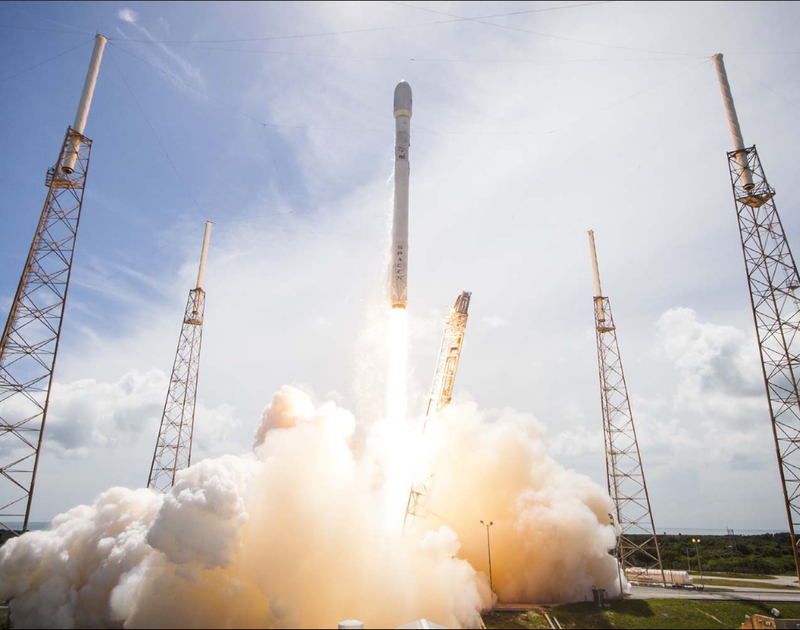 What are the basic concepts of the SpaceX Falcon 9?